Is cold vital for you ? Because it keeps your products at the right temperature during transport, the OLIVO insulated container has been adopted by logistics operators in numerous fields: supermarkets, food distribution, mass catering, health and biomedical products, dry ice, and many others. What is an insulated container ? 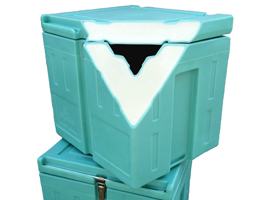 Looking for insulated boxes (insulated container) ? A refrigerated container ? A refrigerating icebox ? A cold insulated container ? A refrigerating crate ? A fridge box ? A cold shuttle ? In short, you are looking for what we in the business call an insulated container. OLIVO designs and manufactures professional insulated containers with a high insulating capacity and an extremely sturdy structure. OLIVO insulated containers are all reusable and and allow to hold products that need to be kept at a positive, negative or ambient temperature. As OLIVO professional insulated containers are mainly used for distribution logistics, they are designed to hold temperature sensitive goods for 24 hours. The amount of energy necessary to maintain the temperature being dependent on the transportation time required, this time can vary from a few hours to over 24 hours if necessary. Prior buying any insulated containers, please take the time to consult an OLIVO adviser, who will help you with the thermal analysis of your needs to ensure you achieve the desired result. OLIVO’s range of containers is divided into three families of products. The volume of an insulated container can vary from a few litres, about the size of a domestic cool box, to 2 m3, which corresponds to the volume of a pallet two metres high. An insulated container is therefore a box with insulated walls and door (or lid) .The insulating capacity of the insulated container is intended to protect the products from the ambient heat. 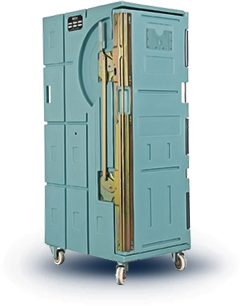 An insulated container is quite simply a mobile insulated box designed for transport. The insulating quality of an insulated box is evaluated by its thermal conductivity value, known as the K factor. The K factor represents the overall heat loss of the insulated box. A low K factor indicates a better insulating capacity than a higher K factor. For example, an insulated box with a K factor of 0.40 W/m2.K is more efficient than one with a K factor of 0.70 W/m2.K. To be able to compare insulated containers, it is important to know their respective K factors. It is an K key technical specification that applies to all professional insulated containers. Don’t forget that insulating capacity contributes to the efficiency of the container and has a direct influence on the refrigeration required. It is impossible to visually assess the insulating quality of a container. It is also impossible to arrive at a value by a calculation based on the conductivity of the materials. The insulation value is measured by a technical test carried out by an accredited laboratory. The insulating capacity of the container protects its contents against heat, whilst cooling inside the insulated container serves both to keep the temperature stable and to increase the length of time it is maintained. Bringing a coolant inside the insulated container enables the inner temperature to be maintained for longer time and to be adjusted to your transport time. The choice of the refrigeration system for the container is vital since the cooling plays a direct role in the effective control of the temperature. When the insulated container is fitted with a non-mechanical cooling system, we call it a refrigerated container or a refrigerating container. 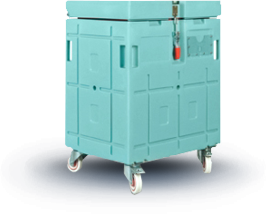 The refrigerated insulated container is therefore designed for transport and more specifically for the last phase of distribution. As it is a self-contained system that does not need any external power to run and maintain the temperature, it is extremely flexible in use in logistics circuits. The cold insulated container is the champion of the right temperature in all conditions. 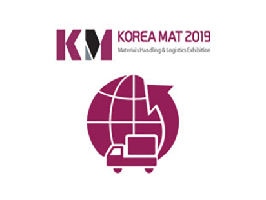 Whatever unexpected events occur during a distribution round – traffic jams, repeated opening of the vehicle doors, having to wait to unload at the destination – your goods are thermally protected without interruption. Using insulated containers is perfectly in line with the circular economy approach, which aims to limit the consumption and wasting of resources whilst providing a quality service. Cryogenic cooling using the energy produced by the expansion of “2nd use” gaseous CO2, that is to say carbon dioxide that has already been recycled and is used as a refrigerant. The insulated container combines efficiency and simplicity to meet the needs of modern logistics, ever more demanding in terms of cost, quality, safety and responsiveness. To some extent this is the paradox of the insulated container: such a simple solution for ever more complex logistics. The ATP agreement on the carriage of perishable goods concerns the international transport of foodstuffs and defines the equipment to be used for such transport. The ATP is a United Nations treaty signed by almost 50 countries which lays down the requirements for temperature controlled transport (refrigerated transport). The ATP fixes the rules for international transport, but these rules are widely recognised, including for domestic transport. This is the case in France, where the ATP is applied to refrigerated transport within the country. As OLIVO is a French manufacturer, all its insulated containers have met the technical requirements of the ATP since the 1980s. The production of OLIVO insulated containers is certified compliant with the ATP. Your country may not require that professional insulated containers meet the ATP requirements. In this case, ATP is not an obligation but a choice: it guarantees the technical quality of the insulated container and the effectiveness of the related cooling system. All the materials used in the sides of insulated containers are food safe. ROLL and BAC containers are mainly made of polyethylene. Rotational moulding technology is used to produce double-wall one-piece moulded units. The insulating material is injected in situ. The one-piece design gives OLIVO containers excellent impact resistance during handling and an extended service life. The one-piece technology has drastically reduced the maintenance required and ensures the integrity of the insulation value without any noticeable deterioration in performance. White BAC insulated containers are of a more conventional design and are made of a fibreglass/polyester composite. OLIVO polyester insulated containers are designed for very low temperatures of the order of -80°C. They are mainly used in the dry ice sector. Manufacturers of dry ice use polyester insulated containers to store and deliver dry ice. 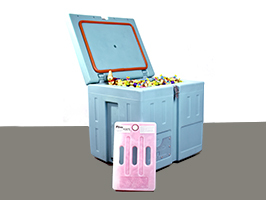 The insulated containers in the BOX range are made of moulded expanded polypropylene (EPP). EPP is a black material, both strong and with insulating properties, although it is as light as a feather. Even if these materials appear similar, EPP should not be confused with polystyrene (EPS). EPP is a “noble” material that is much stronger than polystyrene. And OLIVO has chosen to mould EPP in a high density to guarantee good resistance. BOX insulated containers are suitable for last mile logistics and home deliveries. Over the years, OLIVO has prioritised the use of recyclable materials. This is the case of rotomoulded polyethylene and EPP. Since 2008 OLIVO has offered an end-of-life treatment service for insulated containers: dismantling to separate the components and sending of the materials for recycling. OLIVO has selected the most efficient insulating materials to give its insulated containers the best possible K factor. In the ROLL and BAC containers, the expanded polyurethane foam uses the latest generation of foaming agents. The polyurethane insulating material is injected in situ, with no thermal bridging or assembly. The BOX containers are made of only one material: expanded polypropylene. EPP is an insulating material that also gives the packaging its structural strength. One of the advantages of EPP used as an insulating material is its recyclability. The single-material design of the BOX containers is also intended to facilitate end-of-life recycling. 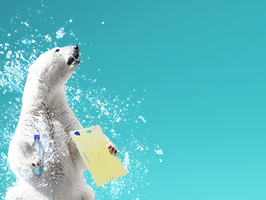 A cold chain expert by your side ! Ice packs, cold packs, cold accumulators, gel packs, eutectic plates or freezer blocks, so many names that make you confused. OLIVO briefly advises you on what to understand, how it works, what to choose for a perfect respect of the cold chain, what impact has this choice on the cold chain. For Easter make sure your chocolates are in their utmost shape! The container insulation is excellent and lasting: no assembly, no thermal bridge.